In my first article I started the debate about the defence of an independent Scotland by setting out what foreign policies it would probably pursue, since these would determine its needs for defence. In this second article I will discuss the actual needs that these policies imply. Already, current UK defence facilities and personnel (excluding Trident) have been, and will continue to be, reduced in Scotland. They are being merged into contrived traditionally-named units, where post-Cold War operational functions are no longer critical to the UK’s defence posture. After independence, Scotland necessarily will have a smaller defence role reflecting our position in Europe and particularly in the rest of the world. But Scotland, as ever, will need to remain vigilant. Hence, Scotland would remain in NATO with our like-minded friends and geographical neighbours. It would continue to co-operate with allies in common defence to the extent of our capabilities for joint military training and exercises, and operations consistent with our economic interests, and humanitarian foreign policies. Defence begins with carefully chosen foreign policies, themselves dependent on collection of intelligence and careful analysis of its assessments. 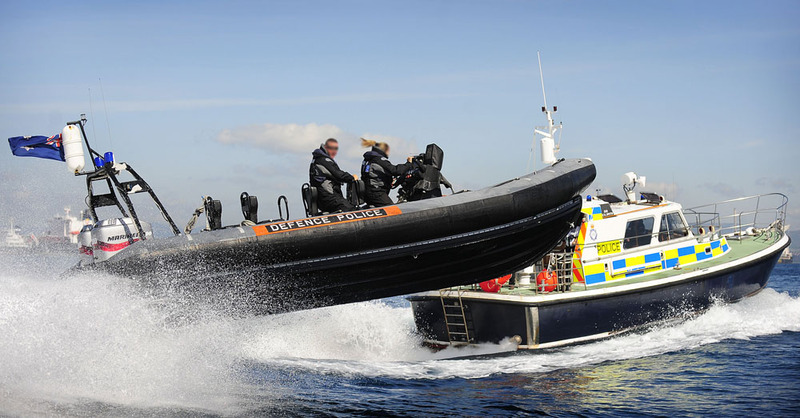 Scotland’s own experience and staffing in UK intelligence agencies, at home and abroad, is relatively deep, especially in counter-terrorist work, and, of course, in high-level police work against domestic and international crime. This is likely to be an area of defence activity that plays a more important role for much of the rest of the twenty-first century for every country. No shortage of skilled human resources is foreseen in these areas, or in friendly collaboration and liaison between Scottish, rUK, and our NATO partners. Defence planning is a response from identifying the necessary materiel and personnel resources needed, both in military hardware and personnel, and in intelligence resources and software to meet foreign policy objectives. To assemble the budgetary costs for such preparedness is a political problem for a government and its specialised departments. It is also well researched and practised by the UK parliamentary process, and has civil servants available who have dealt with such budget cycles over many years. Access to Scottish personnel among such experienced resources would not be a problem in an independent Scotland. A Scottish Ministry of Defence would review needs and aspirations for the defence of Scotland within NATO. Scotland’s geographical position is important, facing the vast expanse of the North Atlantic Ocean and Arctic Seas (Western Europe’s ‘back-door’ via the North Pole), across which in the Cold War NATO had to provide itself with extensive capacity in all branches of the services in order to deter potential Soviet threats. Military judgement would assess and report to the Scottish government how much of that provision could be facilitated by Scottish forces (people, equipment including weaponry, technical support, and advanced communications, satellites, naval and air patrols etc.) and activated from bases in Scottish territory, (some former bases remain located here and some remain operational, if only nominally). Scotland also has a direct interest in and responsibility for the protection of its oil and gas assets. To that end, specially trained and resourced defence provision has existed since 1975, based at Arbroath. Collaboration with neighbouring and friendly nations in Europe and North America is an important area for the provision of requirements and the common training of personnel – and, of course, for sharing the burden of joint costs. Scotland’s territory provides excellent training grounds and air and sea space for all arms, including missile testing, and is regularly used as such by UK and NATO forces. Defence industries are familiar parts of the Scottish economy and help to retain its highly qualified defence employment and research and development. International defence firms locate where there is demand for their services and, given the high-tech areas in which Scotland has specialised competences, this is unlikely to come to an end on independence. Nor need low-end defence technologies be neglected, contrary to threats of impending doom from self-interested, career employees of UK defence forces. Recently, there has been a spate of dire defence forecasts of doom should the electorate vote Yes to independence. The First Sea Lord, Admiral Sir George Zambella, predicts a Yes vote would `harm’ the `security’ of Scotland. 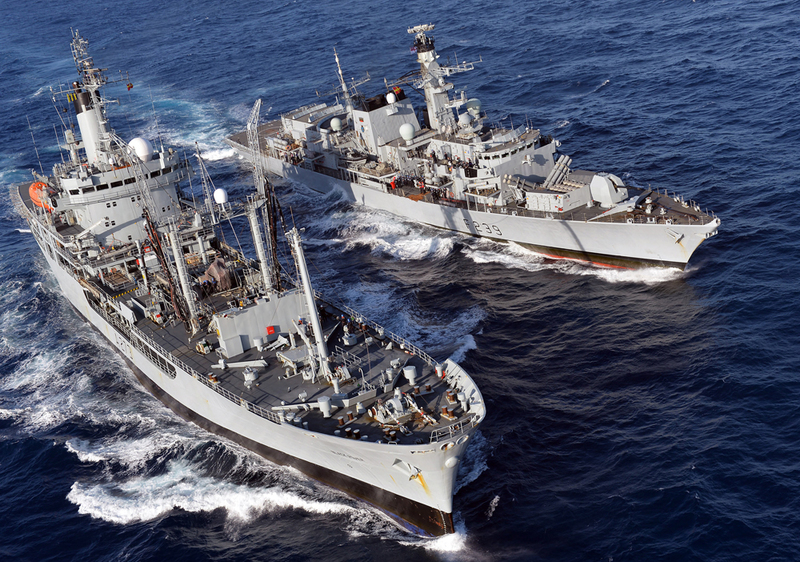 The former first sea lord, Sir Mark Stanhope, warns of the `deeper impact’ of no longer having access to `one of the finest and most efficient navies in the world’. Typically, he also looked backwards into history and cited the Battle of Trafalgar (1805) against France, the Grand Fleet saiIing from Scapa Flow to Jutland (1916) against Germany, and the Cold War importance of of the ‘northern flank’ deployment to protect NATO against the Soviet threat (1948-1989). The defence secretary, Philip Hammond, joined in with warnings about thousands of defence job losses, as if the UK did not buy or license defence products from friendly foreign countries. Labour politicians, such as George Robertson, a former General Secretary of NATO, fears that a `debilitating divorce’ after a Yes vote in September would threaten the stability of the wider world, which would be cheered by `our adversaries and enemies’. Worse, `for the second military power in the west to shatter this year would be cataclysmic in geo-political terms.’ The language is pure hyperbole and evades calm common sense because Scotland becoming independent in no way `shatters’ NATO or the rUK. UK spokesmen demonstrate in their language their intentions to incite an avoidable and unnecessary `debilitating divorce’. Scotland’s ambitions include not wishing to remain committed to being `the second military power in the west’, one that spends the billions necessary to maintain its global ambitions by replacing and upgrading Trident and continuing a foreign policy that panics at the thought that Scotland may exercise its right to self-determination in pursuit of its broadly positive humanitarian objectives. Independence for Scotland is not a threat to England, nor would a Scottish defence budget that is consistent with our responsibilities threaten neighbours and others. That is why Scotland would continue to be in NATO and would negotiate its foreign policies and its consequential defence postures with friendly international partners. 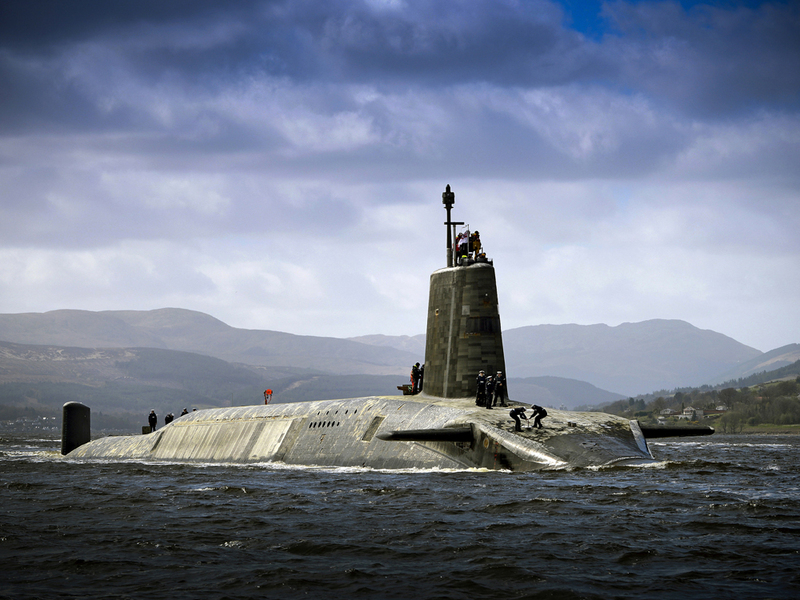 There would be no provision in a Scottish defence budget for expenditure on the UK’s ‘Strategic Nuclear Deterrent’ (Trident or its successors). This red line would remain, whatever is negotiated for the future of Faslane by the future Scotland after independence. Even if Scotland and its moderate government agreed to let the rUK retain temporary use of this facility, there would be no question of accepting any shared charges (compare the strident hyperbolic language used by UK spokesmen with the calmer determination of Scottish government spokesmen!). All Trident expenditures would remain chargeable in full, and paid for, by the rUK defence budget. Indeed, there may well be rental and other decontamination charges made by a Scottish government to the rUK for any temporary use the Faslane base, plus a heavy insurance premium against future incidents. This is of course a divisive issue but the defence analyst can only take a mature, pragmatic view of the potential result of the negotiations in good faith for Scottish independence, without emotional threats and duplicity. Working systematically along these lines would be advantageous in making the case for a much smaller Scottish defence expenditure after independence, consistent with the new Scotland’s foreign policies. It would also raise the credibility and standards of the defence debate on these issues in the run-up to 18 September. Professor Gavin Kennedy was Professor of Defence Finance in the Department of Accounting and Finance at Heriot-Watt University and Professor of Economics at Strathclyde University, where he helped to develop the MBA programme. His research interests are all aspects of the history of negotiation; he has written a book on Adam Smith’s philosophy and economics and has published extensively in the fields of defence economics and naval history. His books on negotiation are best-sellers and are widely read by practising managers. Professor Kennedy has been managing director of Negotiate Ltd since 1987, an international consultancy specialising in negotiation and influence, whose clients include corporations, government departments and non-governmental organisations in many countries. PHOTOGRAPHS photographs are from the MOD and downloaded under the Open Government Licence. This entry was posted in Defence, International, Politics, Uncategorized and tagged Independence, Scotland. Bookmark the permalink.